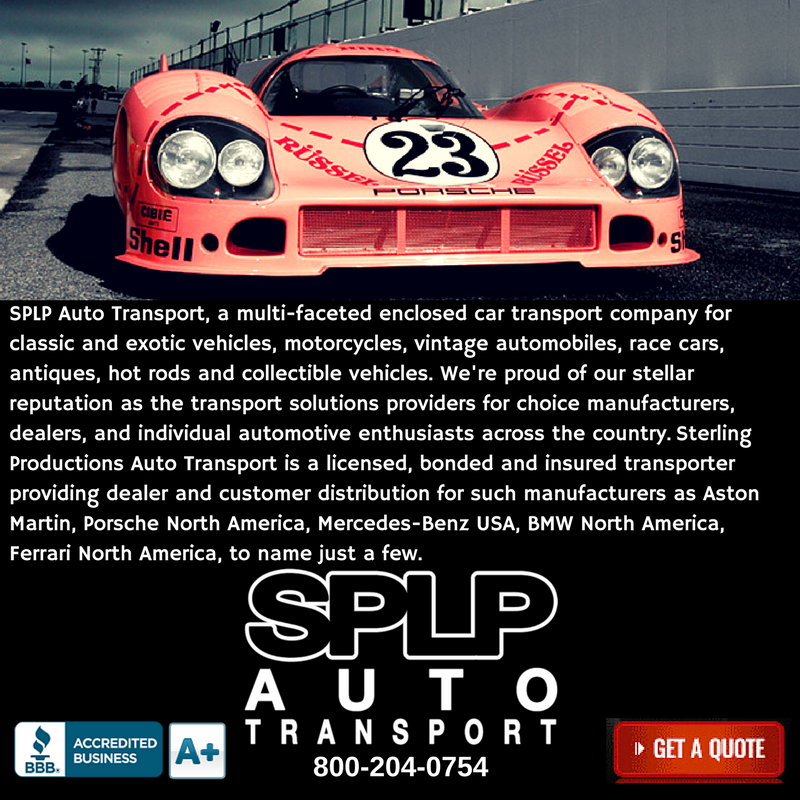 SPLP Auto Transport, a multi-faceted enclosed car transport company for classic and exotic vehicles, motorcycles, vintage automobiles, race cars, antiques, hot rods and collectible vehicles. We're proud of our stellar reputation as the transport solutions providers for choice manufacturers, dealers, and individual automotive enthusiasts across the country. Sterling Productions Auto Transport is a licensed, bonded and insured transporter providing dealer and customer distribution for such manufacturers as Aston Martin, Porsche North America, Mercedes-Benz USA, BMW North America, Ferrari North America, to name just a few.